Almost perfect reflections in the marina. Today was a really nice day, but there was no wind. No wind at all. 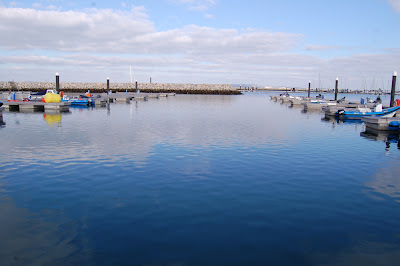 The water this evening was glassy enough to have got a fantastic photo if only we had taken the camera, the reflections from the street lights were perfectly straight lines. The Army and Navy teams went out, one because they couldn't be outdone by the the other. No one knows which one started that though. They were so slow across the course I was tempted to get my paddleboard out and try to get top score for the day. 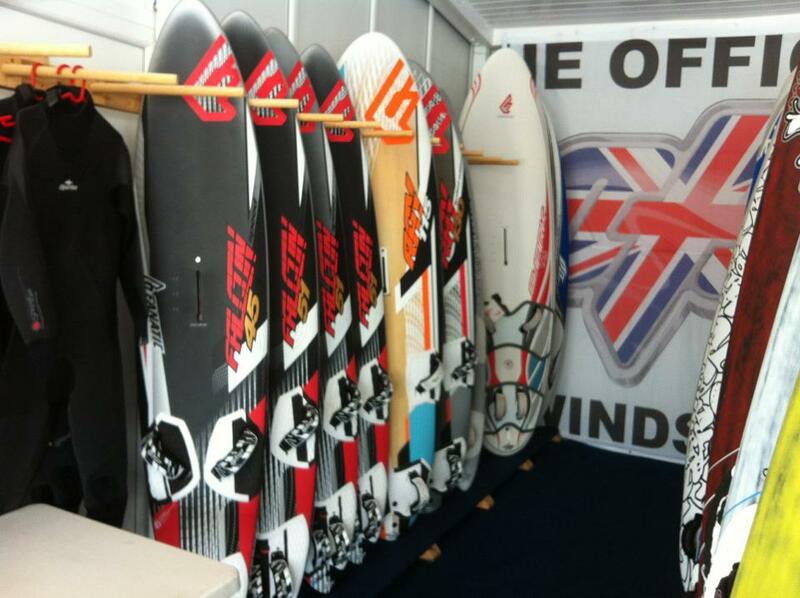 Speed Boards ready for Speed Week, just add wind and fat blokes. It was a great day to meet many people who I respect in the speedsurfing world, and a lot that I do not know of but are regular competitors at the event, from the organisers of the event to the champions and competitors of the past themselves. This quick post is really to say a huge thanks to Tris Best who organised a great evening, with a social in the academy restaurant which included Chilli, with Chocolate Fudge Cake for desert. 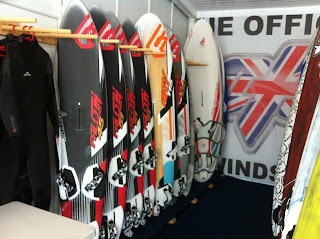 Tris through the OTC is doing a great job bringing together the windsurfing community here in Weymouth and Portland. Another thanks must go to Nick Povey and his team for tirelessly organising this event.